While we’re still waiting for the full-size Millennium Falcon project to be completed, we also like this slightly more manageable idea which resides at the opposite end of the spectrum. 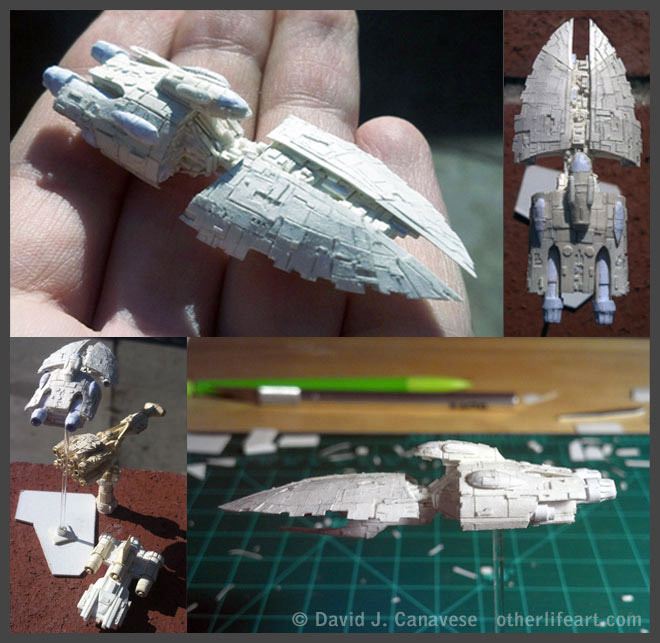 These teensy papercraft starships were made by artist David Canavese, and are truly amazing. 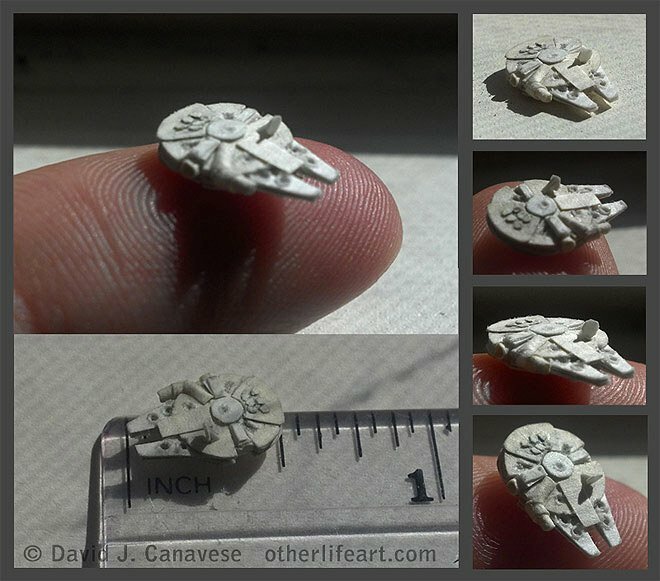 For starters, his Millennium Falcon model measures just about a 1/2 inch-long, despite preserving all of the critical details. 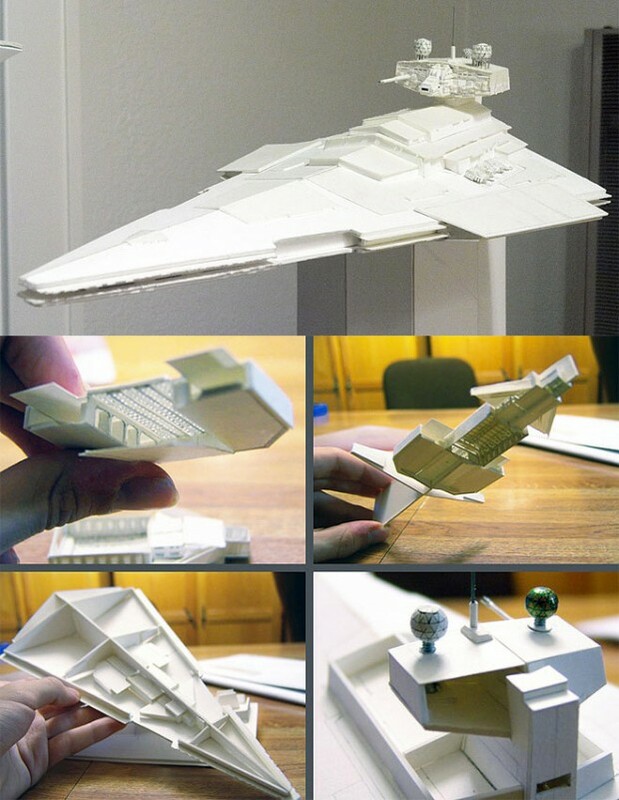 He’s also made a miniature version of the Blockade Runner, which is quite a bit larger – a whopping 2.25 inches-long, as well as the Pincer-Class Heavy Transport, a ship found in the Star Wars: X-wing Rogue Squadron – The Phantom Affair graphic novel. 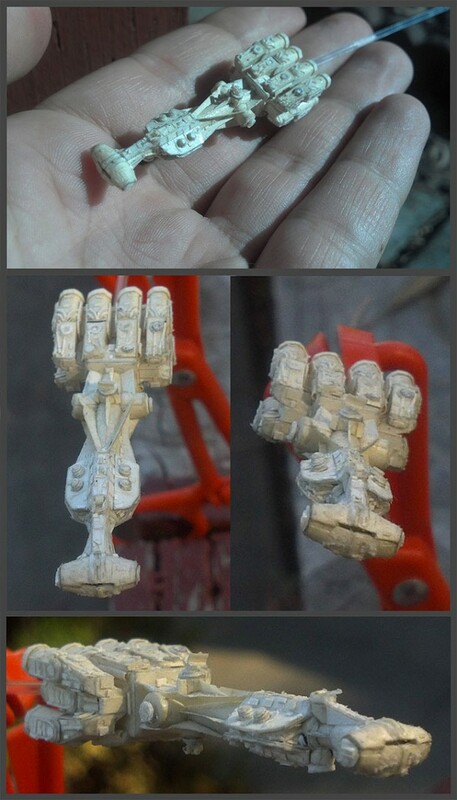 It looks like David also started work on a somewhat larger Victory-Class Star Destroyer several years back, but has yet to finish it due to the incredible level of detail required.